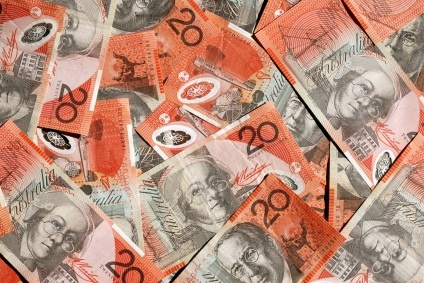 Australians are keen to save money in today’s financial climate. Indeed, 85% of Australians have a firm plan in place to increase their wealth and satisfy specific ambitions. For Australians whose fiscal plans fall through, the main causes of failure are unexpected expenses or sudden changes in circumstance. By increasing your personal wealth and value, both in financial and intangible terms, you can be ready for any situation, ensuring that you are ahead of the pack when it comes to weathering an economic storm or taking advantage of opportunities and reaping the rewards. For most Australians, giving up the day job to pursue an ambitious moneymaking scheme isn't an option. And with fewer companies hiring, opportunities to switch jobs for a bigger pay packet are limited. So, how can you increase your wealth with observable results reflected in your bank balance? The answer could be CFD and forex trading. CFDs (Contracts For Difference) are essentially entry-level futures trading contracts. With CFDs, you are investing a relatively small stake, which is leveraged on the difference in price of an asset such as gold, cryptocurrency, or an index such as the Australia 200 from the point you buy it, until you sell it. CFDs offer high-level market exposure, which allows individuals to trade with an affordable initial stake, yet still benefitting from the potential of significant returns. Forex or foreign exchange trading is simply the way businesses and individuals convert currencies, allowing an Australian business trading in dollars to trade effectively with Japanese clients using yen, or British customers using sterling. As with any investment, forex and CFD values can go down as well as up. This means that you need a steady nerve, but also the ability to quickly process and analyse information. The two worst things an investor can do is either to panic and sell too early – often just before a position reverses and the value of your investment starts to rise – or, conversely, to hold on to a losing stock or position too long. Once all the information you have available to you ­– whether directly from the markets or from sources such as news reports – starts to suggest that a stock is declining, you need to sell. Think of the way a surfer will ride some waves, but wait out others. Parallels can be drawn with investing – it's all about catching the crest of a wave at the right moment, and making the shore before the tide turns. Confidence – the confidence to trust your instinct, to hold your nerve, and to wait for and capitalize on the right moment. Creative thinking and problem solving – the ability to interpret often stodgy, bland information in a dynamic way, and the capability to identify when, and why, an investment isn't performing as you'd expect. Digital literacy – not just the ability to get set up with an online trading account but the competency to identify relevant, illuminating sources that can inform your trading decisions, and the ability to separate the signal of critical insights from the noise of social media chatter. Fortunately, these are all skills that make you a valuable asset in the workplace, too. This means that an investment in your personal wealth, made with a view to giving you the best chance of success while earning a supplementary income through futures trading, could result in a palpable increase in capital, making it a worthwhile use of your time and focus.